Your kitchen backsplash is not only a protector against the damage that occurs through daily use but it is also a great opportunity to inject a new style into the room. There are multiple ways in which you can make your backsplash work for any kitchen style you have in your home. Read on for some suggestions on how to bring out the best in this part of the room. 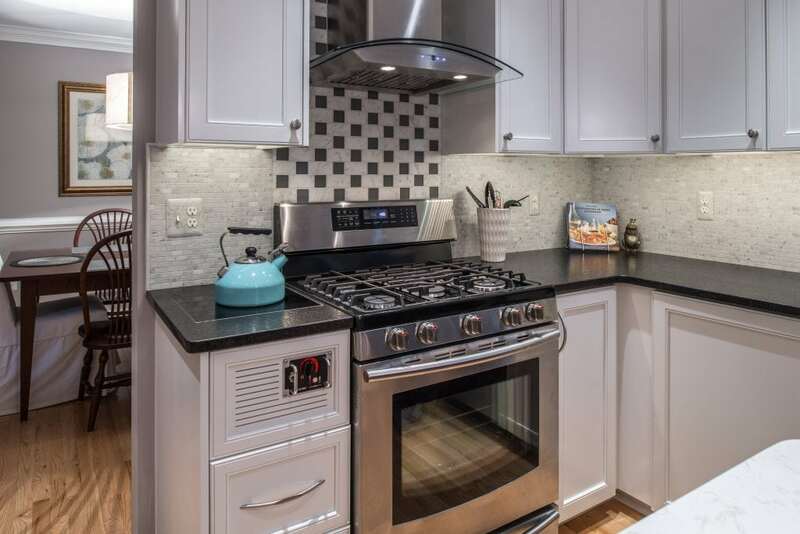 Subway tile is a popular backsplash choice for a contemporary kitchen for good reason. It gives the room a clean, simple look without all the fuss. To add a little flair to this display, try the tile in a herringbone pattern. This will add an unexpected component to a runaway favorite tile option. Don’t be afraid to use color as well. White is a common choice, but use the colors in your kitchen to help you decide if you can move away from a more predictable selection. Another great suggestion is using natural stone. When properly sealed, this material can properly perform its main function while also giving the kitchen a striking contrasted look. A great way to add character to a traditionally designed kitchen is through a noteworthy backsplash. Try a polished copper, brushed nickel or pewter backsplash panel over the sink and stove to make it unforgettable. It will add visual interest while showcasing your cabinetry and counters perfectly. Another way to create a focal point in a traditional kitchen is through the installation of a medallion over the stove area surrounded by ceramic tile. This is your chance to choose a centerpiece that customizes the room’s look to your preferences. Let your personality shine! A transitional kitchen design can be enhanced through a beautiful mosaic tile installation with additional contrasting patterns sprinkled evenly throughout to provide a welcome diversion to the normal layout. Another way to add a little unpredictability to your ceramic tile choice is with an unusual geometric design. This will give you an opportunity to inject a little fun into the room’s look, especially if your kitchen features are on the plain side. Modern kitchens are known for their sleek, minimal design elements. Choose a backsplash that complements its features with glass mosaic tile with metallic accents to complement appliances and other surfaces. Marble is another great choice, especially if you have darker cabinets that will make this material pop out at you upon entering the room. With the benefit of one large slab installed and properly sealed on the wall, this makes for quick, easy cleaning! No matter what style you choose or need to match, the consultants at Conestoga Tile are ready to help!